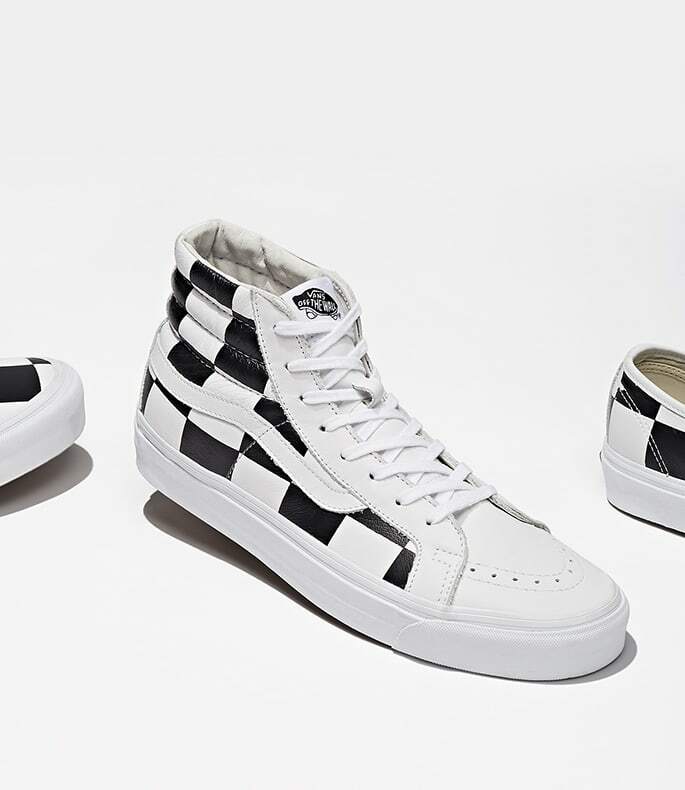 The fifth BNY Sole Series collaboration with the Southern-California brand—Vans, to evolve the original concept that wove the checkerboard print. 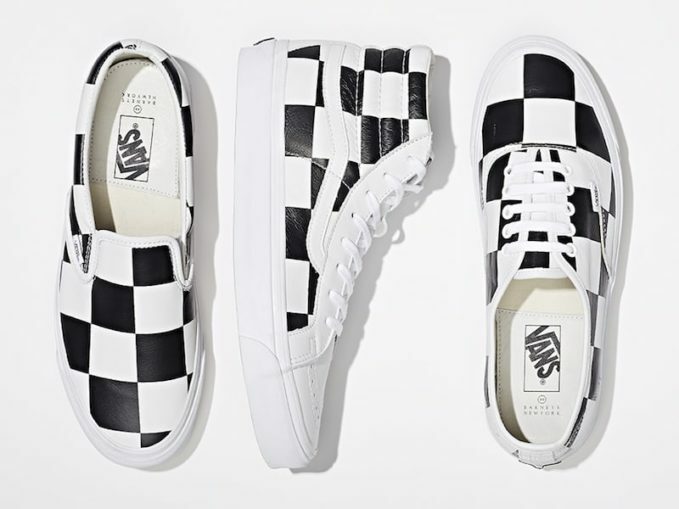 Chose to use Vans’ most iconic styles: the Slip-On, the Sk8-Hi, and the Authentic LX low-tops. 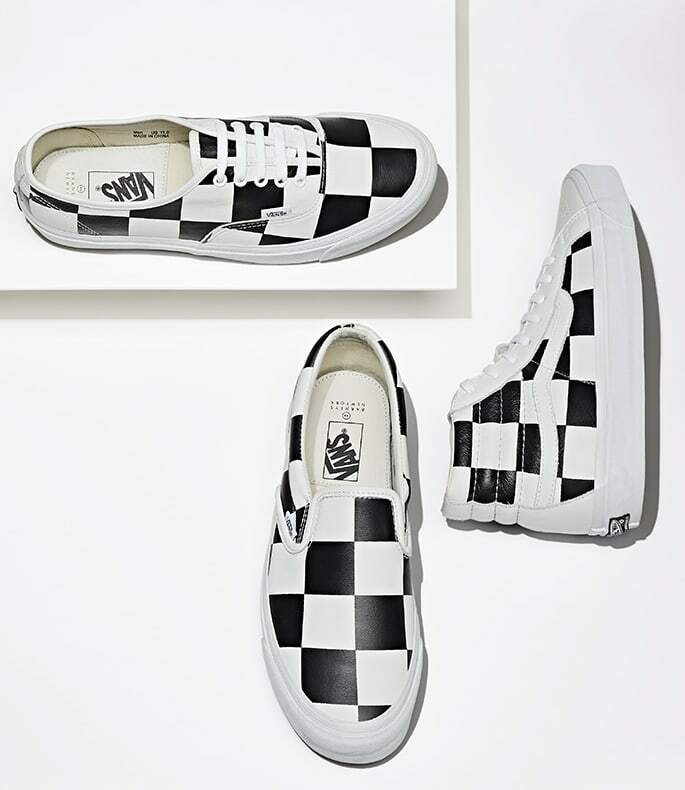 The exclusives feature both logos and innovative design details that Vans is loved for like comfortable lining and sturdy soles. 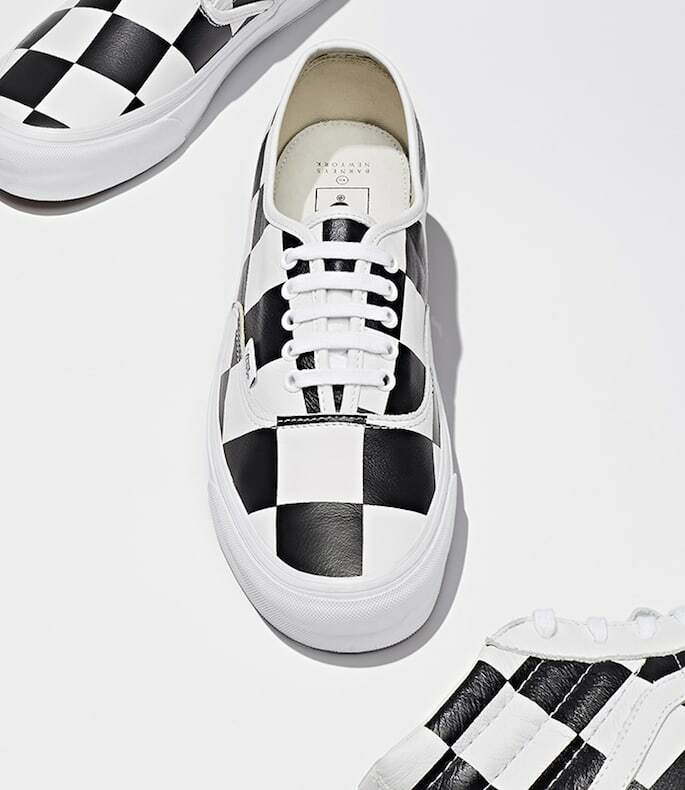 The shoes are perfect for everyday wear and the sleek leather material meshes Barneys’ point-of-view with the laid-back, West Coast vibe. 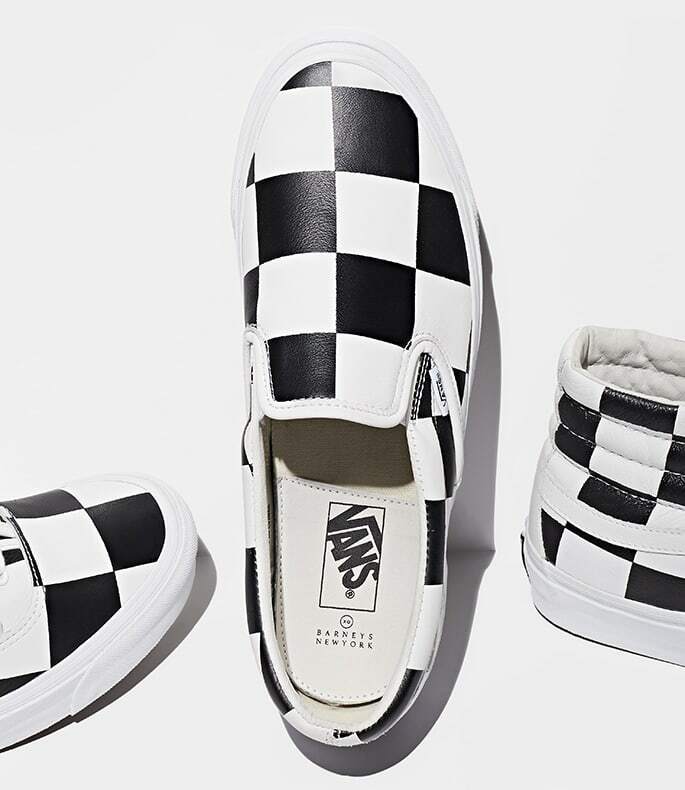 Shop BNY Sole Series x Vans Spring 2018 Capsule Collection exclusively at Barneys New York.